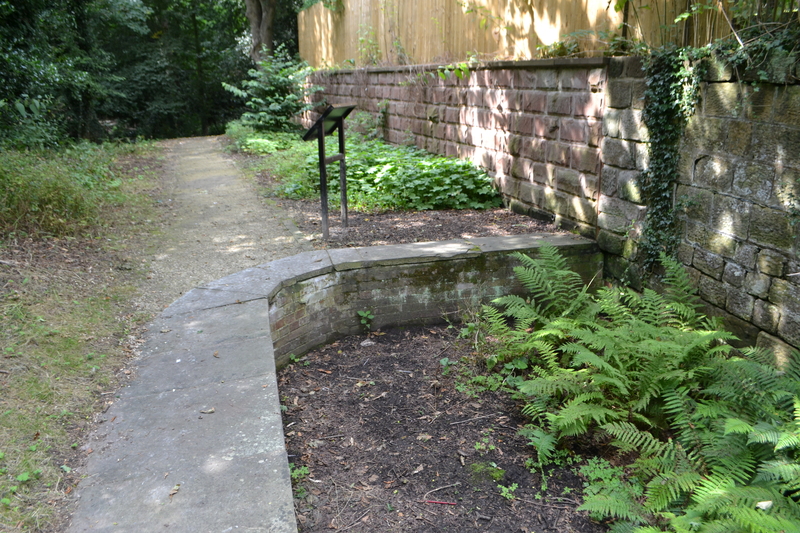 Lying in a public park in a small town in Cheshire is a curiously named holy well. 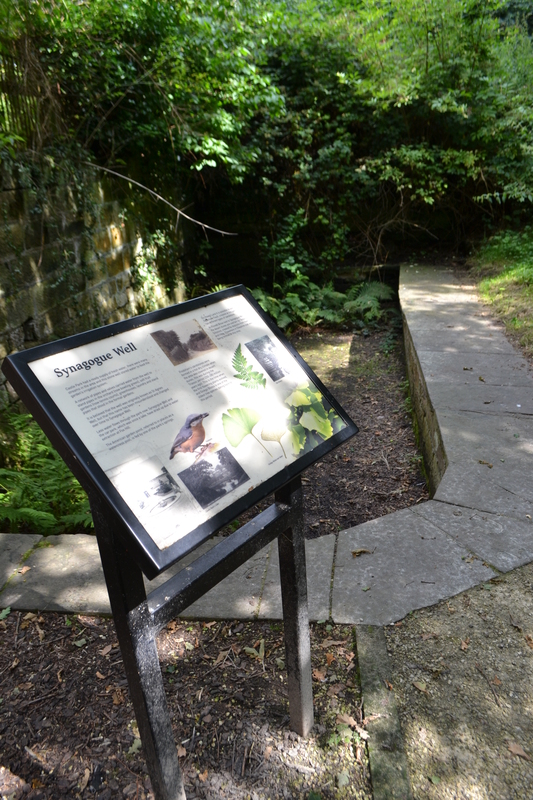 My first attempt to find the site in the 1990s was unsuccessful but it is reassuring that a return in 2014 not only found the park it lies in being much improved but now there were signposts to the well. The Roman, in his toilsome march, Disdainful viewed this humble spot, And thought not of Egeria’s fount And Numa’s grot. No altar crowned the margin green, No dedication marked the stone; The warrior quaffed the living stream And hasten’d on. Then was upreared the Norman keep, Where from the vale the uplands swell But, unobserved, in crystal jets The waters fell. And, as his weary limbs he lav’d In its cool waters, you might trace That he was of the wand’ring tribe Of Israel’s race. With pious care, to guard the spring, A masonry compact he made, And all around its glistening verge Fresh flowers he laid. A Jewish Mikveh, consonantal drift or folly bath? Despite the poet’s assertion that “he was of the wand’ring tribe, Of Israel’s race.” and that: “The stones the Hebrew raised may last” relics of Britain’s Jewish heritage are scant and any site associated with them historically is of course of great interest and importance. But is Frodsham Castle’s an example? Such baths have been uncovered which were originally ritual baths called Mikveh or Mikvah was this site one? It might be convenient to associate the site with a Jewish community attached to Frodsham Castle. However, there no evidence of a community ever being located there or in the more likely medieval Chester. This suggests that the site was probably a plunge pool or cold bath folly. Indeed the steps down in one corner suggest this and the sandstone fabric does not look old enough to be anything of antiquity. Perhaps one of the bathers was Jewish at some point and a local joke developed? Unlikely. Another option may be that the chamber was the water supply for the castle or great houses. Similar basins exist associated with castles such as Wollaton Hall’s, coincidentally called the Admiral’s Bath due a local resident bathing in it, despite it being a water supply at the time! Perhaps now the site is no longer being used a receptacle for garden waste, more research may be done to reveal the details. One of the fundamental important aspects of humanity is the understanding of both the importance of water and its purity. In the Hebrew faith, the significance of water in having a ritual cleansing function has been distilled into the mikveh, Mikvah, Mikve or Mikva which literally translated means ‘collection of water’. Unlike many of the sites recorded on this blog, mikveh still have a central and pivotal role in all forms of the faith. • after Tzaraath — certain skin condition(s). Consequently, with such a wide range of demands, Mikveh would be placed in domestic and public locations. Importantly, the water used for a Mikveh, natural spring water was preferred if clean and not affected by mineralisation, like chalybeate springs. Alternatively, water derived from rain, snow or ice is considered pure enough. However, I am focusing on the discovery of one particular Mikveh which dates from the mid-13th century. A medieval Jewish community existed in England from 1066, when William the Conqueror invited the community to establish themselves in a ghetto until its expulsion in 1290 by Edward I. 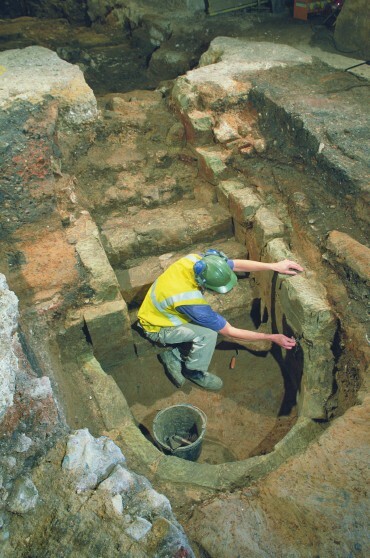 A report in the Guardian from October 25th 2001 reported that what is thought to be the oldest physical evidence of Jews in Europe and the only found in London was discovered. This was during a routine excavation of the gold bullion vault of the State Bank of India in development of office works. It was in the area called the Old Jewry in London, on the corner of Gresham Street and Milk Street. So far no concrete evidence of Jewish life had ever been found in the area, supposedly because no difference could be seen in domestic buildings between Jews and gentiles. Howver, Dayan Ehrentreu, head of the Court of the Chief Rabbi, indentified it as a genuine mikveh. The survival of this mikveh illustrates that water is important to all communities of the country and that water is important in ritual to all faiths. The Bevis Marks Synagogue paid to have the site removed and were to rebuild it in their grounds, but in the end it was set up in London’s prestigious Jewish Museum where it can be examined….a rare medieval relic. The arid land of the holy land is watered by a number of ancient springs. 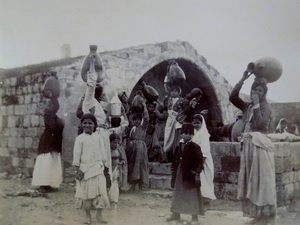 Perhaps the most famed is the Ain il-‘adra or Mary’s Well, a well which has served its Arab community well over the millennium. It is located below Greek Orthodox Church of the Annunciation in modern-day Nazareth. The church is so called because it is believed that the well was the location where the Annunciation occurred, Mary learnt she would be carrying Jesus from the Archangel Gabriel. The present semi domed structure appears to be largely symbolic and no longer functions, although it was still used as a local watering hole until 1966. This was undertaken in 2000. During the late 1990s, evacuations revealed underwater systems suggestion its use as the town’s water supply from the Byzantine period and a separate accidental discovery revealed an underground bath house with Carbon dating it from the 1300s at the latest. Hammat Gader’s mineral springs, one cold and four hot, fill the remains of a Byzantine bath house complex. Another Roman spa can be found on the southern side of Hammat but not as well preserved. The name Hammat means hot spring in Hebrew. 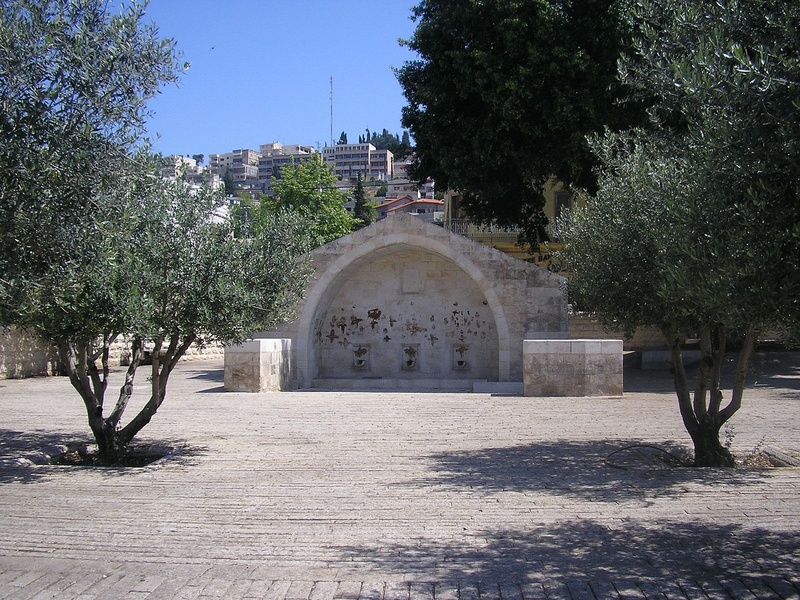 Another Mary’s Well is found in Jerusalem and is so named after the belief that she stopped there for a drink whilst visit John the Baptist’s parents and as a consequence it was a source of pilgrimage. Little can be found out regarding its history but it is thought that the spring has been used since the Bronze Age. The well is covered by a 19th century mosque. This church fell in 1187 during Saladin’s raids. For over 700 years, no church was built over the well and only ruins are noted as being nearby, then in 1860, a Greek Orthodox Church was constructed but this too was lost to an earthquake in 1927. 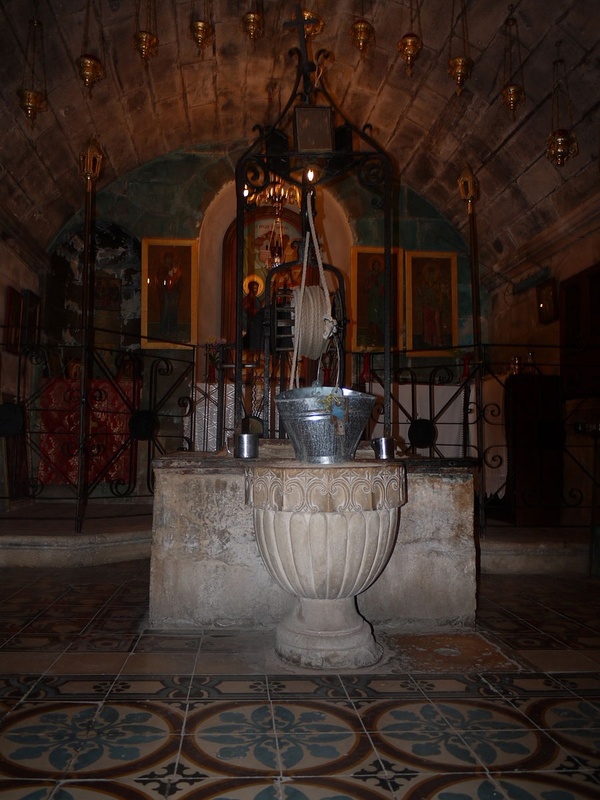 But the site was rebuilt to resemble a Crusader church where the well is enclosed in the crypt where it now consists of a winch well complete with its bucket surrounded by icons and votive candles. Its deep burrowed into the rock is 41 feet and still contains water.